“Belle-Île en mer, la Bien Nommée. Je rêvais de te visiter depuis déjà tant d’années…alors voilà, c’est maintenant chose fait. “Belle-Île en mer, the Well Named. I had been dreaming of visiting you for so long….it’s now a thing done. There was so much to discover on the island. There was so much beauty to love. We had two long weeks to embrace it all. “Regarde le gros bateau !” (Look at the big boat!) I told Lulu as I was holding her hand while pointing at the ferry that was entering the harbor in Le Palais, the largest town on the island. She was standing straight. Not moving. 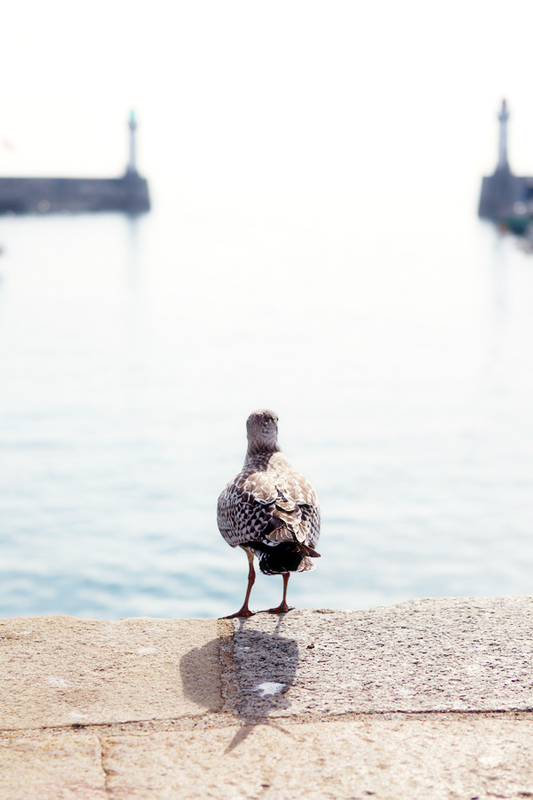 She was staring at the tall white boat that was slowly making its way through the calm waters of the harbor, with its passengers looking minuscule from a distance. She was waiting for her papa. He was coming to meet us for the rest of our stay on the island. Surely, if she had known the words, she would have told him about what she had already seen after a week: beautiful beaches where she liked to run in tidal puddles; wild black currants that grew wild everywhere and that made me wish I could have made jam; the small brown dog that visited the house every time we ate dinner on the patio; the red cat that liked to laze on the roof of an old Peugeot to enjoy the warmth of the late summer sun; the fresh baguette and sablé breton mamie and papie sneaked into her hand each morning on the way back from the market. She had got used to all these things. And I know she wanted to share them with him. But instead, she gave him a generous kiss on the face. I grew up with the dream that one day, I would visit Belle-Île en mer, one of the picturesque islands located off the west coast of France. Probably because the west coast is my favorite French coastline by far; because Brittany makes me love the feeling of wearing Wellington boots and a raincoat on the beach; and because I am always hungry for galettes, savory crêpes made with blé noir (buckwheat) traditional of the area. I told P. that the island looked like Ireland. Locals told us so too. 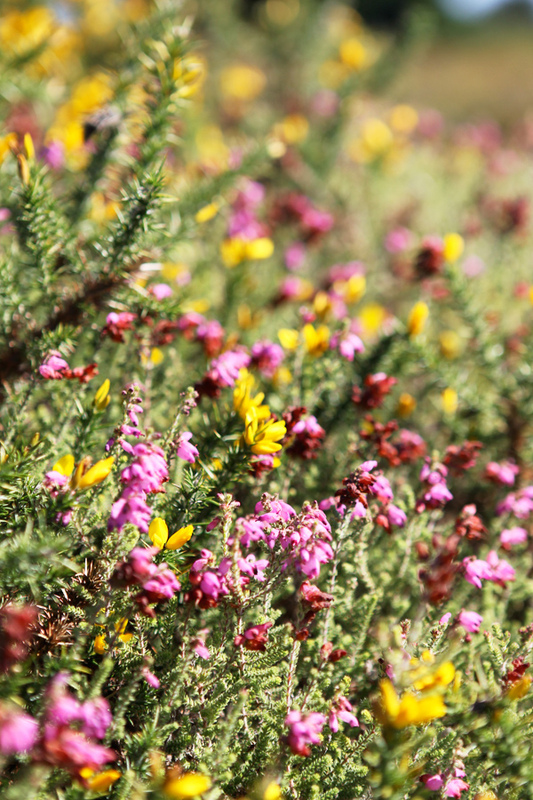 I found the vegetation reminiscent of places I had visited in New Zealand and on the coast of New England as well. After all, there was a time when those two places only formed one. I knew P. was going to fall in love with Belle-Île en mer as much as I did. Quickly, we developed a pleasant routine, one I loved getting used to. In the mornings, we enjoyed coastal walks and walked to the market; we cooked simple homemade foods; we napped with Lulu and played in the water and sand with her. It was really easy to soak in the casual island lifestyle, and the details that give charm to the place. 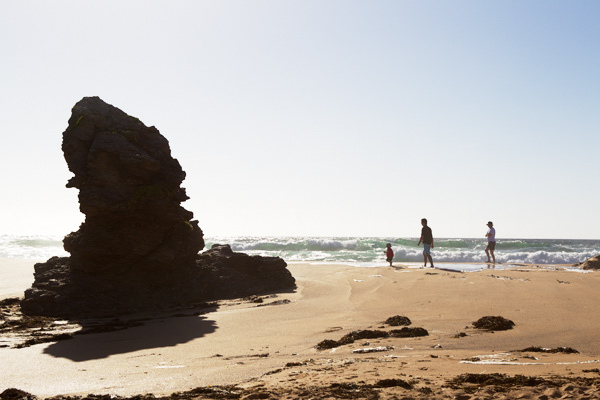 There was the magnificent Plage de Donnant with its gigantic impressive cliffs, dangerous surf and extreme tides; and not far, the picturesque beaches of Herlin and Baluden. We knew that Lulu would find her sandbox minuscule forever after playing there. I made friends with the cute brown and white cows that looked tranquil and undisturbed, no matter what seemed to happen around them. We ate far breton made with local milk. I cooked apple crumbles and baked flognardes aux pommes (apple clafoutis) prepared with Reinette apples from the region. 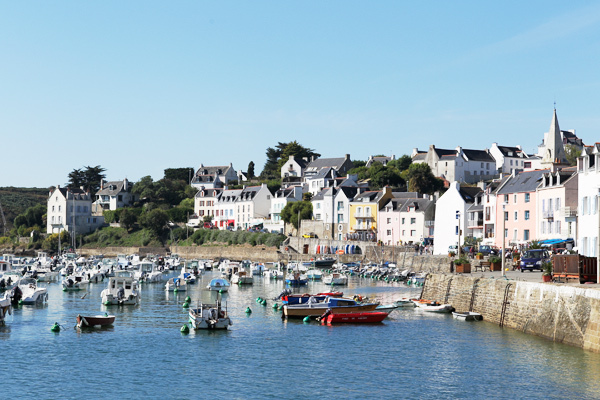 Everywhere across the region of Brittany, apple juice and cider are widely produced. 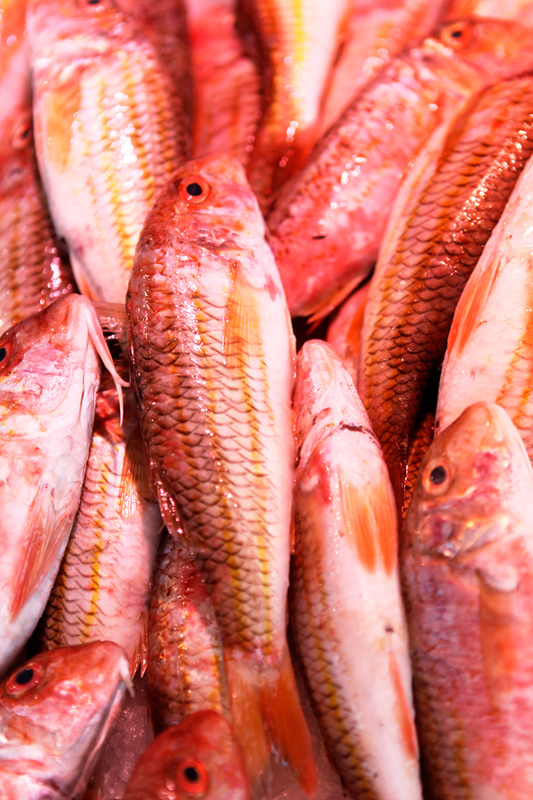 Every day, our lunch or dinner menu included fresh fish purchased at the morning market held on the town square. I discovered pouce-pieds (thumb-foot), a strange-looking shellfish that lives in agitated waters near rocks. And I could not get enough of langoustines (scampi) and scallops with its pretty-colored orange coral–which I am never able to find in the States. 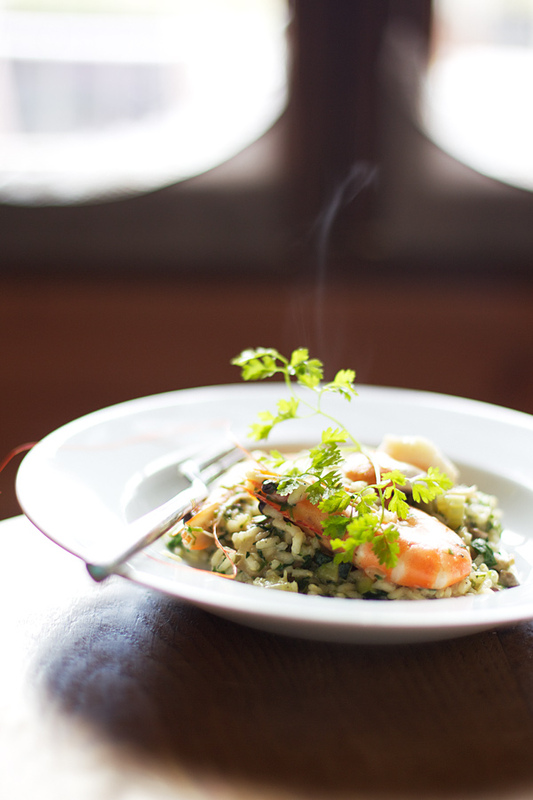 One night, I made a langoustine, pea and watercress risotto for dinner. And a langoustine and fennel salad. Another night, we enjoyed a dish of sauteed scallops stewed in a coconut and lime broth with flavors of coriander, ginger and garlic. 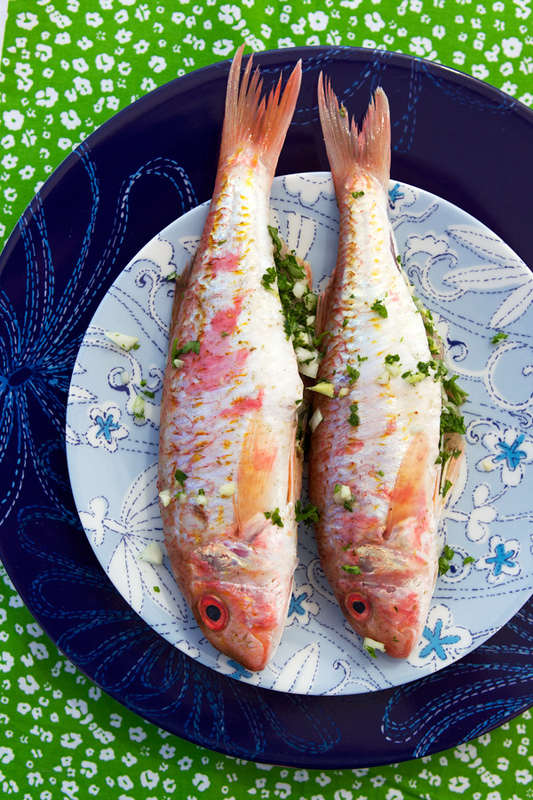 We found ourselves quickly addicted to this daily taste of incredible seafood. There was also the scrumptious fromages de chèvre de Sauzon (fresh soft goat cheese) I bought in numbers. They brought childhood memories of Heidi, the TV series I never missed when I was only nine. I was secretly dreaming of living Heidi’s life in the mountains and eat fromage de chèvre with her grand-papa the way she did. Most days were sunny and mild. 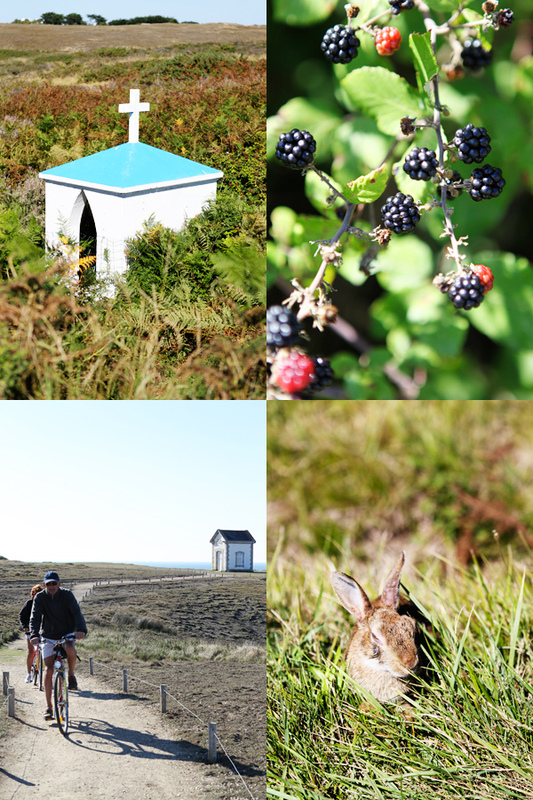 We visited the beautiful sites of Port Coton and La Pointe des Poulains, stopping at Chez Renée’s on the way back for a galette. Theirs were thin and crispy, with a wide range of delicious stuffing no matter what we choose. One day, I had mine stuffed with scallops, crème fraiche and leeks. The next time I chose fromage de chèvre and honey while P.’s had andouille and Lulu preferred a galette complète (a galette with a stuffing made of ham, cheese and egg). 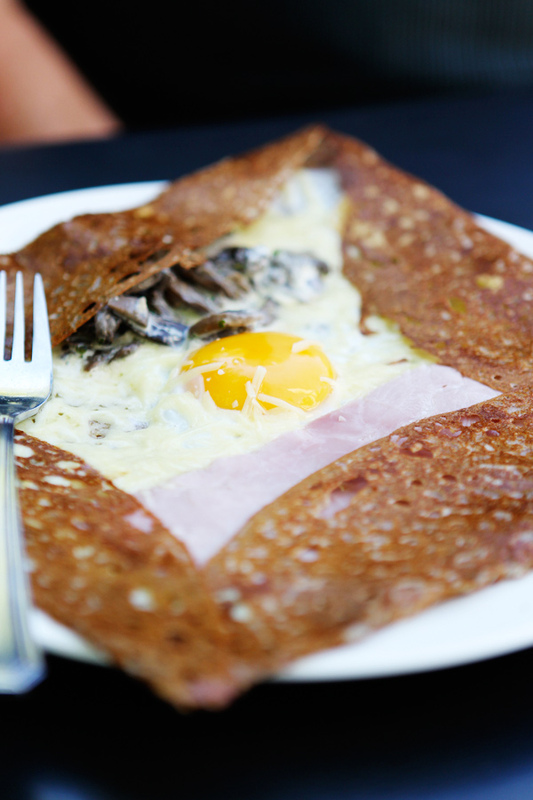 By far, these galettes were the best we ate on the island. 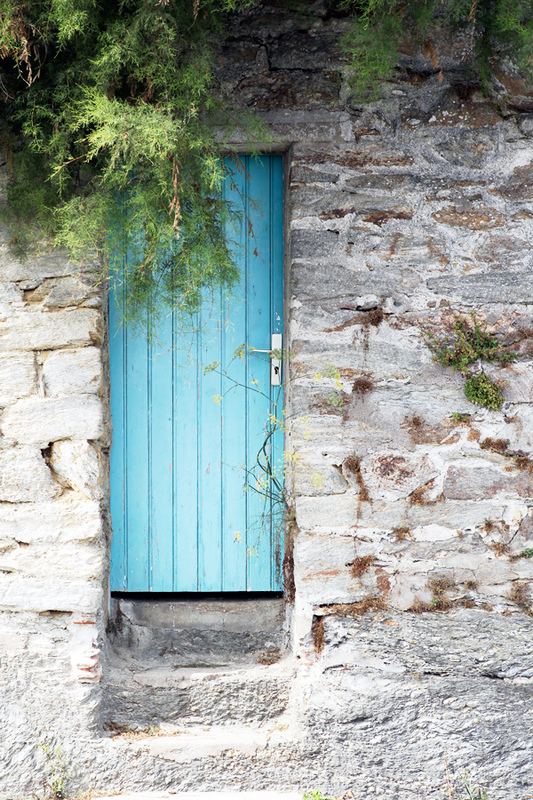 There were also the houses with their cheery colored shutters and attractive hortensias in front; The sardine cannery. The crème de caramel au beurre salé (caramel cream made with salted butter) or with chocolate. Spider crabs. The agneau de Belle-Île (lamb raised on the island) with its delicate taste, which we enjoyed inside an eggplant crumble one night for dinner. Belle-Île en mer was all of that: A short forty five minute ferry ride between Quiberon and Le Palais; an island 18 kilomers long and 9 kilometers wide with a charming rural character and a peaceful atmosphere; an amazing Indian summer by late August early September; a place special to Claude Monet, Arletty and Sarah Bernhardt; bike paths to tour the island, from beach to beach; fig trees; broom; delicious local foods; coastal walks that allowed to get wonderful views of the island. After Tortola, it was also Lulu’s first vacation at the beach in France. 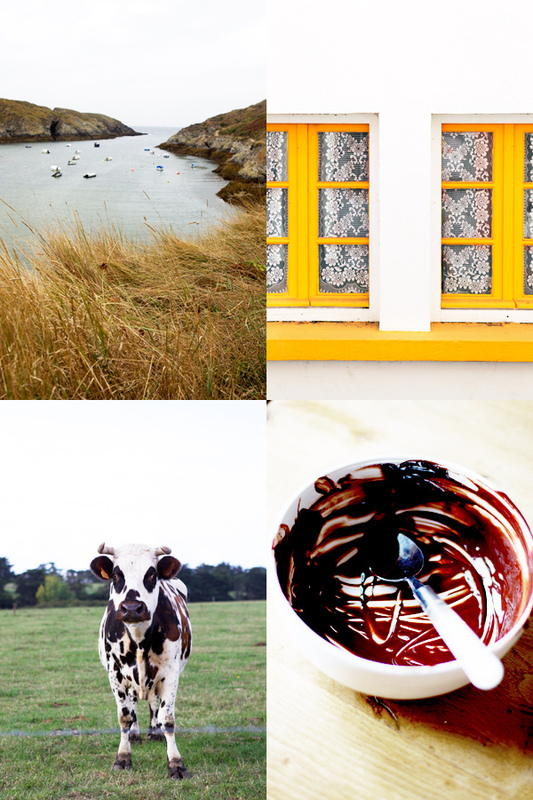 So during the only two rainy days we had–who said it poured in Brittany?–I baked a chocolate and nut cake while Lulu played in the rain puddles. Because chocolate and rain always rhyme in my mind. Because a vacation without chocolate is not a real vacation. I hope you don’t mind the pictures. I snapped way too many. That’s what happens when I fall in love with a place. Onto the chocolate cake. I will try to tell you more about the galettes next. With the farine de sarrasin (buckwheat flour) I brought back with me. Preheat the oven to 400 F and butter an 8-inch (21 cm) round mold. Coat with flour and tap the excess out; set aside. Place the chocolate and butter in a bowl. Place the bowl over a pot of simmering water and let melt, stirring. In a large bowl, beat the eggs with sugar and salt until the preparation has tripled in volume — for 8 minutes. Fold in the almond meal and hazelnut flour. Fold in the melted chocolate. Transfer this batter to the mold and bake the cake for 30 minutes. Let rest for 5 minutes and unmold carefully. When ready to serve, dust with confectioner’s sugar. The cake should stay moist inside. Breathtaking photos! It sounds as if you had a wonderful time. Belle-Île en mer, la Bien Nommée, this place looks like a dream! I can’t pick a favorite picture, they are all beautiful. I particularly like the red lighthouse and the pictures of the langoustines, and of course the beautiful colorful window shutters. It’s like a fairytale. Lovely. Overused. Word. Lovely. But. True. Absolument magique. J’adore votre blog, et en tant qu’expatrie, je me retrouve parfois songeur et reveur, mi-jaloux de vos voyages mais oh combien reconnaissant pour vos recits. Merci , je continue a vous suivre avidement. I am so overwhelmed by the beauty of these photographs. They bring such warm emotions and memories to my heart. You are an inspiration to me!!! Wow, wow, wow.. so many pictures and such a lovely holiday. Great pictures Bea.. I really enjoyed the photos and holiday. I chuckled when I saw Lulu’s photo of her playing with the rain puddles and the ‘happy wanderer’ pic (the one before the seagull pic). Oh how dreamy. Two weeks to savour and enjoy the beauty–being present. I love what travel does to your senses. especially when you peer thru the eyes of your little one. I found this quote you might enjoy after a recent dreamy trip I took to Europe. OMG! I love all the photos! It really looks like heaven. Ah. C’est vrai que Belle Ile est magique! J ‘aime ton blog depuis quelques années et c’est toujours un vrai bonheur de découvrir et de savourer chacun de tes articles. Wow, what a place! I want to go there next summer! Can you share details of the house you rented? my goodness! you’ve outdone yourself! such amazing pictures. breathtaking, even. what a beautiful place, thank you for sharing this! These photos are so beautiful … amazing. Can’t stop looking at them! beautiful post!!! i really love the way you capture everything, and the way you cook anything as well :] heheh! keep up the good work. what a beautiful place bea. reminds me so much of home, especially when i saw those “percebes”,(as we call them), the gooseneck barnacles. hmmm… such a delicacy. and the far breton and your cake. what a fantastic trip. B., je trouve votre blog superbe, sublime! C’est un délice que de lire vos billets, regarder vos photos! Stunning! I will reread this one many times. Your photos are moving and beautiful. 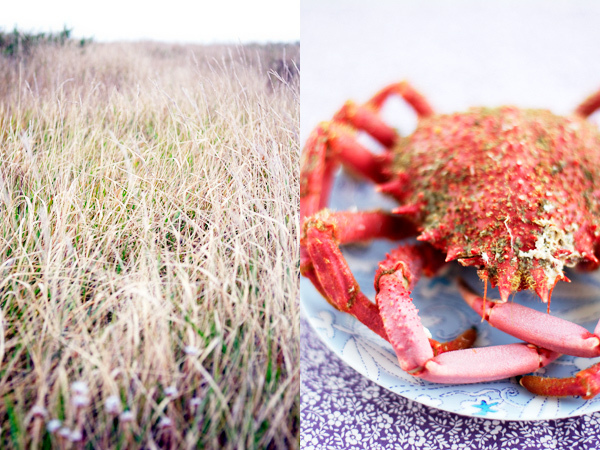 They bring Belle Île en mer alive. gorgeous, gorgeous, gorgeous! i so hope for my daughter to live these experiences by travelling to France someday as an exchange student! or, if blessings abound, a visit i would like to take with both of my children! Les recettes oui elles sont bonnes et allèchantes! Mais le fait de présenter de si belles photos fait beaucoup plus que renforcer l’aspect culinaire! Les photos deviennent un moteur, un intérêt principal pour te suivre…..
Merci de nourrir nos yeux autant que notre estomac! Reminders of the sweet stuff – of the soul, of the food, of the place. On tombe amoureux des endroits à travers ton regard, la délicatesse, les couleurs. Il ne manque plus que le souffle du vent. Merci pour ce beau moment! Your photography is my favorite part about your blog! What kind of camera do you use? How do you get that perfect white out effect? This is the most beautiful place. I hope I can visit in the future! It really DOES look like Ireland. I Hybrid of France and Ireland- All I could ask for! 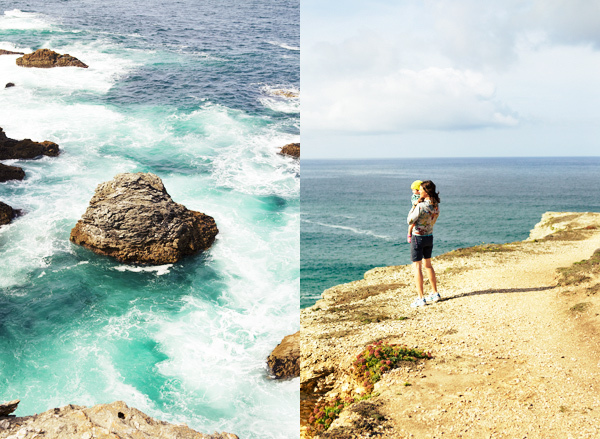 It really makes me want to visit Belle-Ile! Don’t worry about posting “too many pics”, it can never be the case with a dreamy place like this. Thanks for giving us a taste of Belle-Ile en Mer 🙂 Already waiting for your next post, hoping it’ll still be a travel one. 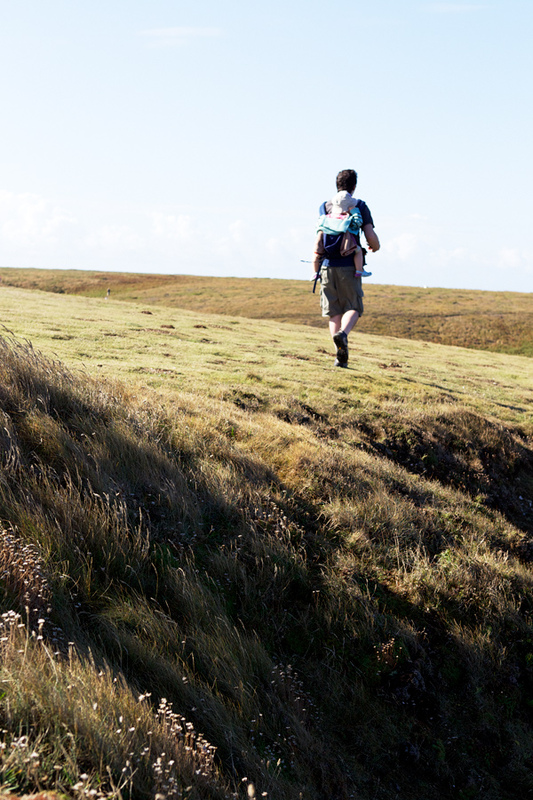 “La Bretagne, ça vous gagne”, comme le dit l’office du tourisme local. thank you for inspiring us all with your beautiful adventures (both big and small), observations, words, images and of course, recipes! absolutely beautiful! i just love the colours. it’s amazing! As beautiful as beautiful can be. Thank you for sharing this… really! Oh BTW, I’ve got 2 bags of buckwheat flour and I can’t wait to see what you make with yours. the most stunning post bea, honestly took my breath away. I will visit this post a hundred times for sure! Ohhhh this is so gorgeous! You make me want to quit my dreary and boring life, here in Alberta, and go live there forever, in this amazing paradise! This is a great (but cruel) post, with beautiful pictures! I could sit here all day just looking at these stunning photos! So beautiful!! what a place! such natural beauty and grace. is the inside shot of your daughter running around at a rental home? looks like a great place to stay! 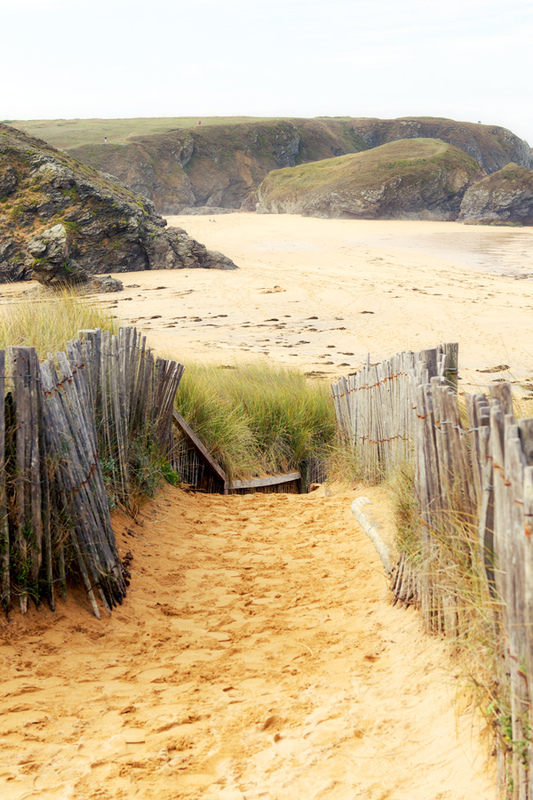 Belle ile, elle me manque. 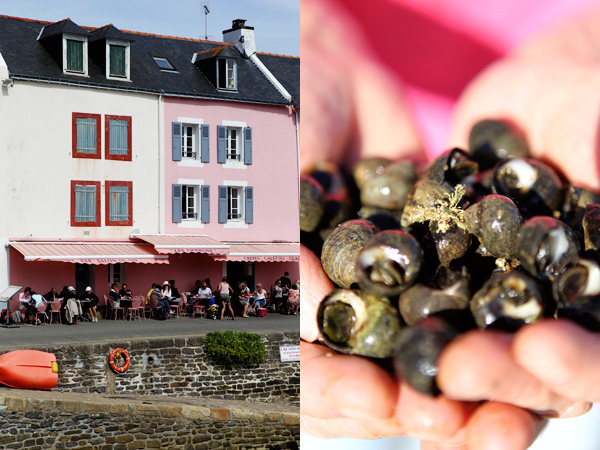 As a student, i spent summers near Nantes, and visited belle ile, et noirmoitier, and St. Brieuc. Your pictures brought them back. And I can taste the seafood and the buckwheat galettes that my French father would make in the garage. Thank you for sharing yor memories and recalling my own. You have managed to capture the essence of this french holiday in all your beautiful photos. Your blog is a work of art and an inspiration! I travelled around France many years ago and still have long desired urge to return to my favourite country, when I see al your photos my heart aches to return. Wow! So gorgeous and inspiring. I love that you have a lot of gluten-free recipes too. I cannot wait for your cookbook. When is it coming out? I just love your blog and pictures. Your Lulu is so cute. Where do you get her clothes or do you make them???? Many many thanks for your kind words. Oh yes, it’s a place to visit and love! Especially off season, when everything is quieter. Kara, thank you! I wish I had the skill to be making Lulu’s clothes. I have tons of ideas! 😉 But instead, I buy them, here and there. The ones you see on the pics are mostly from French children’s stores. Alessandra, the pic inside the house with Lulu in it is of the house we rented. I can email you details if you like. Bea, thank you for sharing your experiences, it is such a joy and inspiration to read your posts. 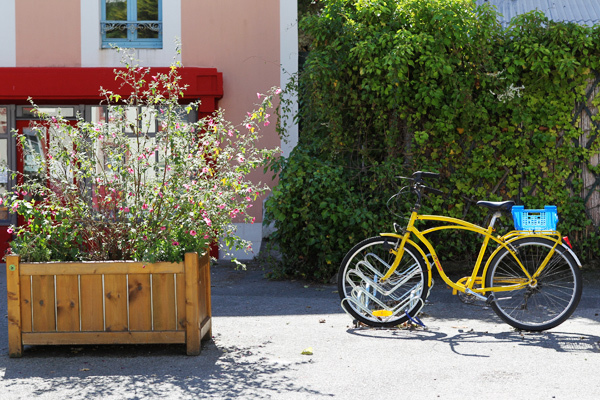 Your photos are stunning and capture the magic of this beautiful corner of France. I can’t wait to go back and visit again soon. Je suis, encore une fois, complètement jalouse de tes photos. C’est magnifique Béa, contente que tu aies aimé cet endroit magique 🙂 et pas surprise bien sûr. I’m in love! Now I’m dreaming of visiting one day. Merci! 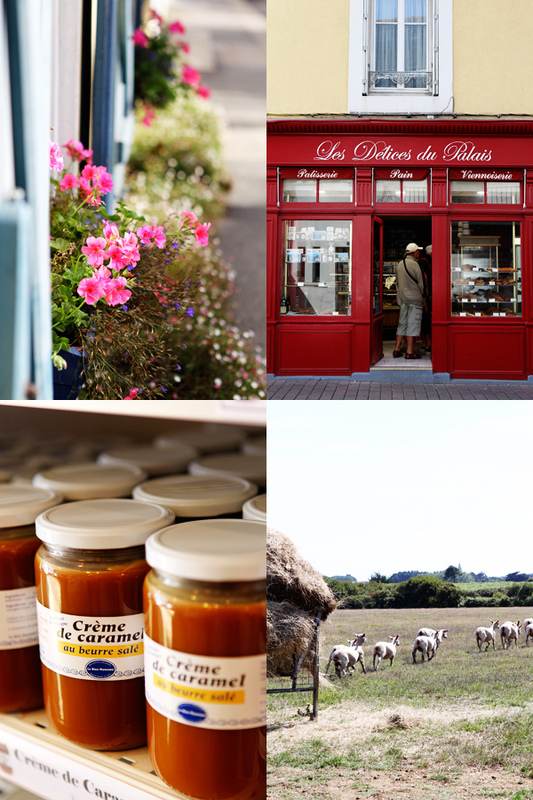 I love when you post the food and photos of la belle France! Oh my, I love Brittany so much. It’s my most favorite place. Granted I haven’t been, but I know I will love it. WE hope to go someday and take the4 walk across to Mount St Michel. Thank you for posting these beautiful pictures! Oh my! You made all those dishes? They look SO Good! Any time and temperature advice in grilling those fish and crabs? What a beautiful spot! What a fantastic vacation! Lulu is one lucky little girl! And I certainly agree… chocolate and rainy days go hand in hand. This cake looks wonderful. Une vrai bouffée d’air frais ! J’attends la belle saison ici dans l’hémisphère sud avec beaucoup d’impatience ! Ah Béa…. not only are your shots beautiful, I love your quirky layouts. The brown and white cow next to the empty chocolate pudding bowl and the seagulls head in the foreground of the lighthouse shot made me chuckle. Quelles belles photos!!! Des paysages magnifiques! Et les photos des oiseaux….ohh!! Tout est beau!! Super!!! Where is that gorgeous place you stayed at? 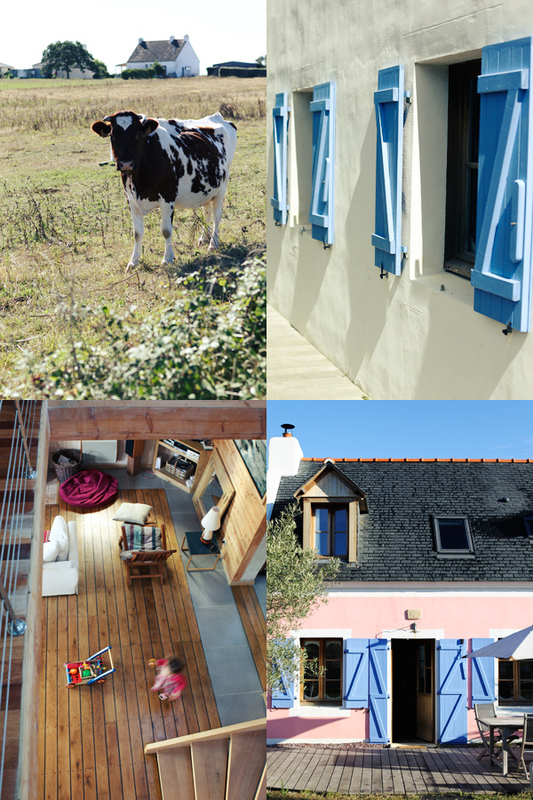 My husband and I are planning to go to Belle Ile next summer and are looking for renting a house. I would love to know where you stayed at!Thanks for all those beautiful pictures. Cannot wait to go! Gorgeous! I love seeing your photos- definitely not too many! I am itching to travel now! Bea, I want to go there…….now……. Wonderful pictures as always. je suis allée plusieurs fois sur cette ile qui ne peut que séduire!!! la maison que vous avez louée à l’air charmante! !peut on avoir les coordonnées ? Toutes ces bonnes choses et cette belle ile… ça fait réver. What a great post..I want to be there now eating all that yummy food! The photos are stunning too. Oh my goodness. You photographs get more and more beautiful! I am falling over with inspiration. Bea, tu nous fais rever et …saliver!!! Ca nous rappelle notre region, merci! Hi! surfing the net I stumbled upon your blog! your photos are beautiful and remind me that summer is ending .. sad .. I have a cooking blog if you’re interested come and visit! greetings from italy! Beautiful! Thank you so much for sharing your wonderful vacation with us! Truly lovely! There is such grace in your photography… sharing so much beauty while still retaining a private feel (not often seen in this very public domain of blogging). Always a pleasure to visit. Béa, J’adore ton blog. Tes photos sont magnifiques, tes mots sont inspirants et tes recettes sont succulantes. J’aimerais avoir les coordonnées de la maison que tu as loué à Belle-Ile en mer. Merci et longue vie à ton blog. Thank you thank you everyone. Merci à vous tous. As to the house, la maison, I rented it from Marion Miehe. Google his name and the houses he owns will show up (contact: Marion Miehe. Mettez son nom dans Google et ses maisons vont s’afficher. 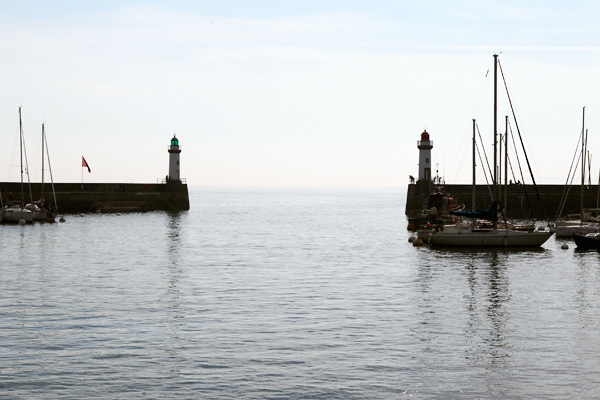 Il en a deux a Le Palais, d’autres a Port Coton, Kerel…) They are decorated with taste and have a lovely open space. Great wood and stone, earthy materials. Du beau bois, de la pierre, des matières nobles. Un grand espace commun. As to my cookbook, thank you for asking. The book is planned to be out for pre-sale by next fall. There’s been an unfortunate delay, so I am too very keen to have it in my hands! Quelle belle joie que de découvrir tes magnifiques photos … un délicieux et douloureux plaisir !!! je viens de découvrir ton blog par hasard ( tant est si bien qu’il existe !) je reviendrai , c’est frais ,c’est beau , c’est que du bonheur !!! I recognised Donnant at 1st sight ! you’ve captured the magical air so wonderfully…I could almost hear & smell the sea ! I love your photos ! Merci beaucoup pour ces bulles de bohneur ! Your photos are beautiful! Thank you for sharing. 90 comments…. do you ever visit out sites, Bea? This is very beautiful. El is like you. Her site is called Fresh – or Fresh New England. A respite from the day. A soft place to fall… but I am sad the relationship is only one way. Salut Bea. Toujours incroyable, toujours l’ impression qu’on vit dans les pas l’ une de l’autre, apres l’ alsace et wellington ! J’ai passe tous mes etes a Belle Isle avec mes parents, qui louaient une maison jullet et aout a Borsarrazin entre Bordardoue et les grands sables! J’ y etais encore l’ an dernier ! Arrg les plages, les mures et le fameux fromage de chevre de sauzon (avec la ciboulette dessus !) De mon cote j ai passe l’ ete entre Andover (MA) et NY ! Comme quoi on n’ arrete jamais de se croiser ! 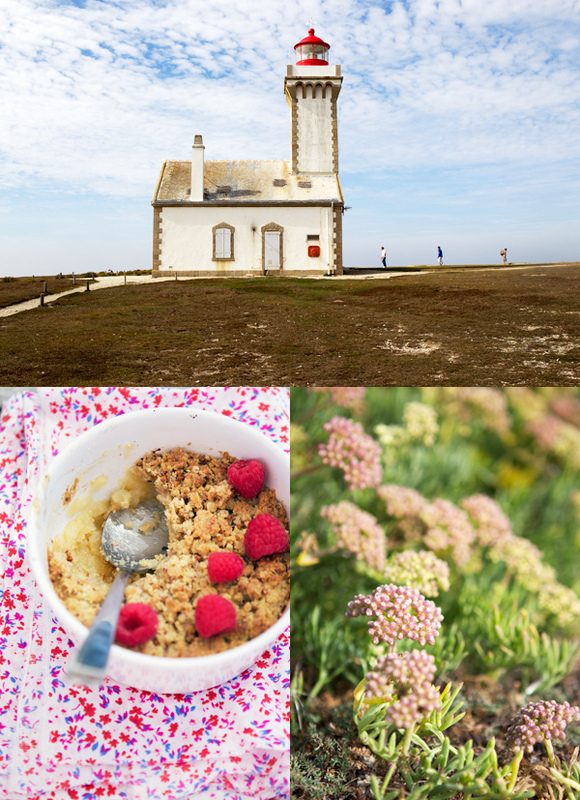 Bonjour, je découvre ton blog et surtout tes photos qui sont vraiment trés belles et éblouissantes … je ne connais pas Belle Ile, ni même la Bretagne, occupée que je suis à parcourir le reste du monde , surement une belle erreur ! Oh I also dreamed of living Heidi’s life in the mountains- drinking milk and eating bread with fresh butter! Now after this post I dream of traveling with you as a tour guide. Simply stunning photography and the way you present it tells such a beautiful story. 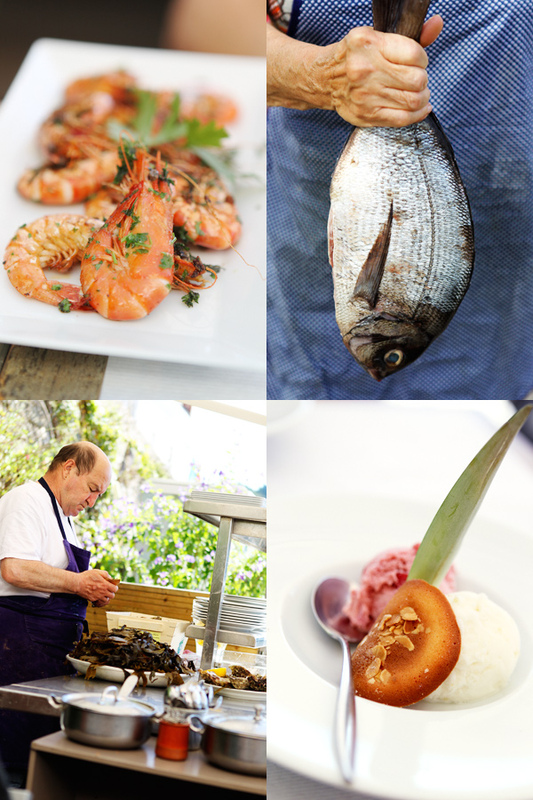 Great commentry, very pretty pictures and mouth watering food – I’m sold. What was the name of the place you stayed in as it looks idilic? Looks like one of the best, most delicious and an extremely beautiful family vacation!! 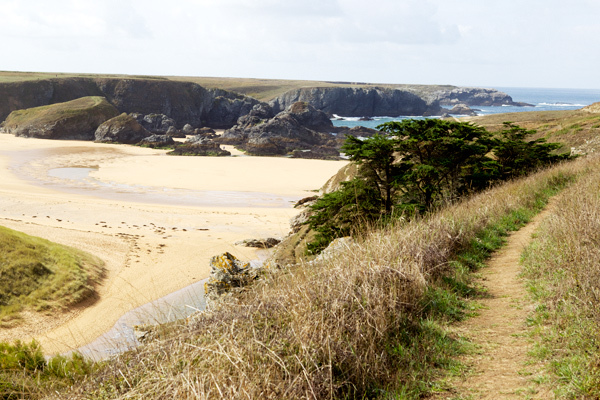 I’ve never been to Belle Ile, it is now on my “to-travel” list. Merci!!! Absolutely breathtaking photos! You make us feel like we were almost there. You can never have too many photos of a place you love- thanks for sharing. C’est marrant cette coincidence! Wellington, Belle-Ile, la Lorraine puis MA. Quel sera la prochaine destination où on se croisera peut-être ? I will translate the recipe shortly. The temperature of 400F equals to 200 C.
Christian and all of you who asked, I mentioned already in a comment before that the house I rented was through Marion Miehe. Google his name and you’ll find his rentals. Have fun if you end up going! You’ll love it. Nath, il va falloir que j’aille à l’Isle de Wight alors! Bonjour Bea! Ca fait quelques semaines que je parcoure ton blog et je suis ravie de l’avoir decouvert. 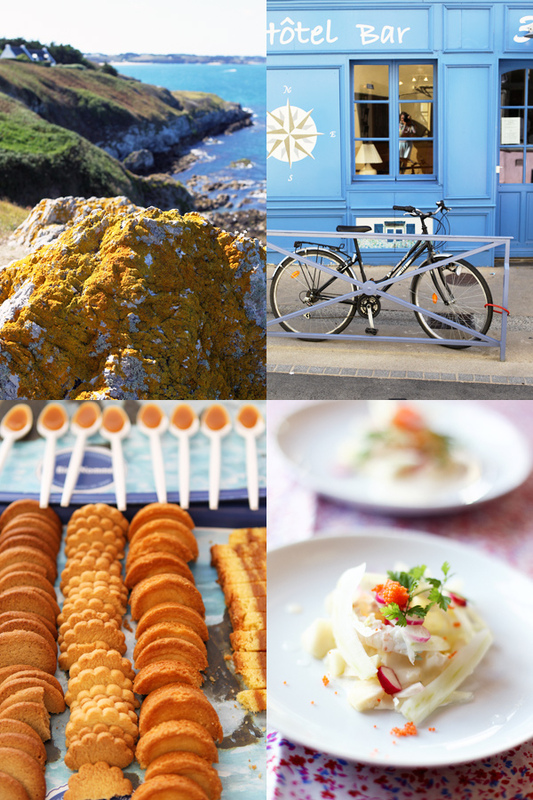 Beaucoup d’inspiration et plein de bonnes idees dans tes recettes. Expatriee a Boston avec mon mari et mes deux petits loulous, j’adore aussi cuisiner et prendre des photos… mais pas avec le meme talent que toi! Merci de partager tous ces beaux moments! A little suggestion if you haven’t already done it: next time, try to go to Les Embruns in Sauzon; this is for sure te best Crêperie I’ve ever been to! Ah oui, les Embruns bien sur. I went there too, but I must confess that I preferred the crêpes at Chez Renée. I found them thinner and crispier. But Les Embruns was lovely all the same. Especially sitting outside looking at the harbor activity. 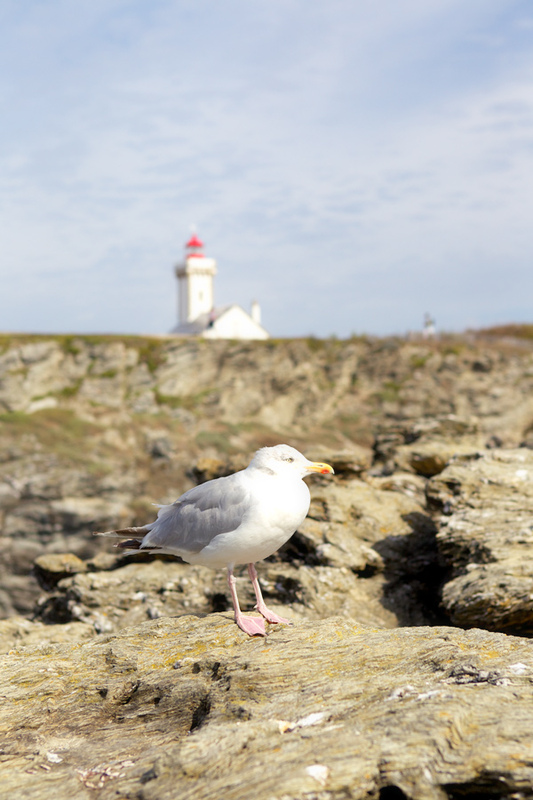 i have wanted to take a holiday on Belle-Ile since our tour of Brittany almost 20 years ago!! can you provide some contacts for a holiday gite rental?? One of the greatest posts of all time! Merci Bea pour ta reponse. Nous sommes dans la region de Boston depuis quelques annees et j’espere que l’on aura une occasion de se rencontrer! Nous ne sommes pas a Boston meme mais Lexington, et ce n’est pas si loin! Thank you, thank you , thank you. Mind the pictures? More is always better. I just got back from France, and your wonderful pictures have helped feel like I am still there. The pictures are stunning and I love them almost as much as the food..
and it makes me feels nostalgic about my France natale…! Le 7hebdo du Républicain Lorrain m’a révélé ton blog…..Merci pour ce régal des yeux et des papilles….!!! J’apprécie encore plus lorsqu’il y a des traductions en français!!!! 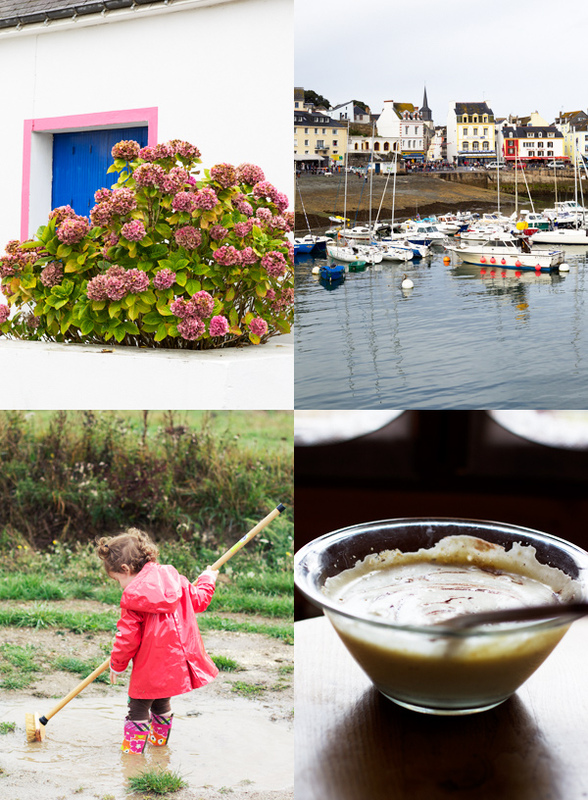 We were in Brittany this summer and were awed by the landscape and the food! We wanted to visit this island as well but we didn’t have the time. I’m glad we didn’t go ahead with our plan to visit the island as, from your post, I think one day (which we planned) wouldn’t do the island justice. And thanks for pointing out the ‘thumb-foot’. We had them in San Sebastian and I almost gave up knowing what it’s called until I read this post. Hmm, ça donne envie de vacances à la mer. 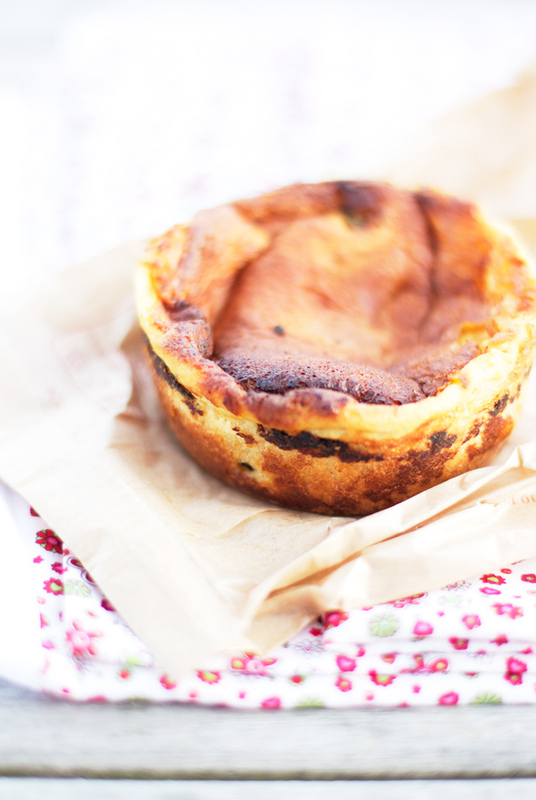 Chouettes photos et recettes! Je viens tout juste de découvrir ton blog. Tout comme mon souci avec le gluten d’ailleurs. Tes photos et tes recettes sont magnifiques. La Bretagne je connais bien car j’y ai passé quelques temps déjà pendant mon enfance et je comprend tout à fait tes sentiments pour cette région. I hope you’ll continue this way with your blog ! Sigh. 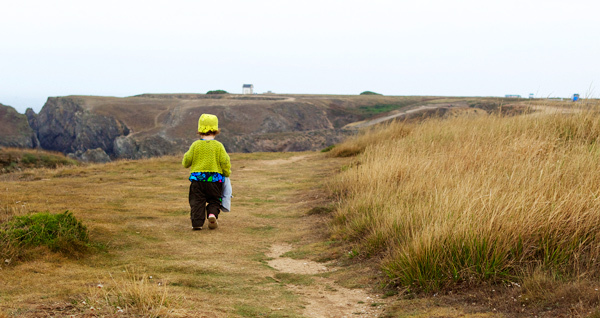 Belle-Ile-en-Mer has been on my list of places to visit for at least the last 15 years. We even had a place booked for a 2-day trip in late October a few years back, but not knowing failed to reserve the ferry in advance. When we arrived we discovered there was no room left on the only ferry going that day and we would have to try again another time. Your post and wonderful pictures not just confirm my feelings that it is a magical place, but goes beyond to induce repeated sighs of longing. Beautifully done. my god Bea…you are so inspirational! i love your food and pictures..amazing. i looked at the fotos above and was listenning this music(http://www.youtube.com/watch?v=4qPG99GXF0I&feature=related) you can’t imagine- they are just meant for each other..the music and your pictures..thanks for the happiness! Four months ago we became MUM and DAD of Alizée. As we were in the adopting process for 7 years now, she came as a complete surprise. ‘Angel’ was her conceptname ;-). 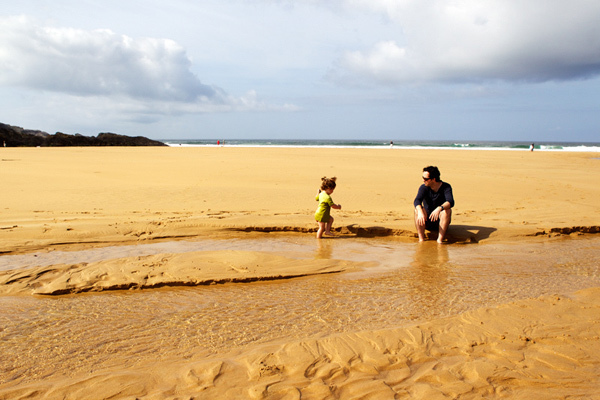 Searching for the ideal gettaway with little Alizée, I came across your ‘témoignage’ of Belle île en mer, never heard of it before. We can’t wait to discover this enchanting island, of course very much inspired by your pictures! Exactement le genre d’endroit où j’aimerais aller en vacances! La vie d’insulaire m’a toujours attirée. Je pourrais essayer de convaincre chéri d’y aller l’été prochain?! Avec vos photos, ça ne devrait pas être bien difficile! Et non, il n’y en a pas trop (de photos); elles sont si belles, si inspirantes! Et je dois essayer de faire ce gâteau! Il a l’air délicieux! Can you recommend any sites that have house rentals? 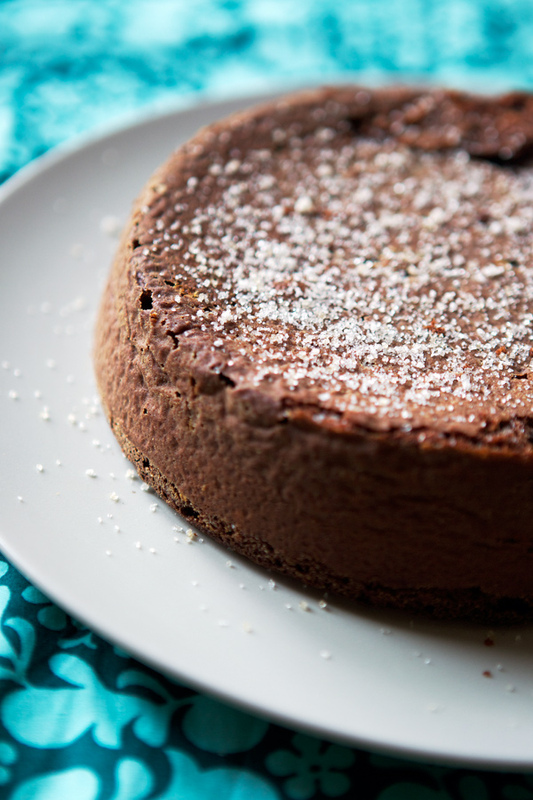 J’ai essayé le gâteau au chocolat et franchement il est topissime ! Merci pour cette bonne recette, j’y ai ajouter de la parline à la place de l’amande. Les photos de belle île en Mer sont tellement douces et belles … ça me donne très envie de découvrir cette île sublime et sauvage. 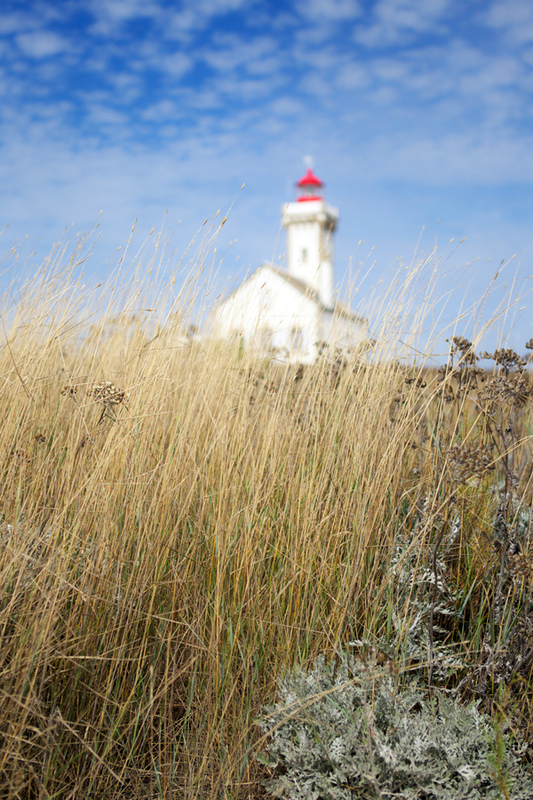 Superbe article sur Belle ile en Mer. Pour ceux ou celle qui sont a la recherche d’une maison de location sur l’ile n’hesitez pas de m’envoyez un email a helourym@gmail.com. Je suis actuellement expatriee en Australie mais je peux vous donner toutes les informations necessaires pour que vous puissez decouvrire la beaute de cette ile. La maison est situee dans le village de Ty Neue et a 4 chambres.